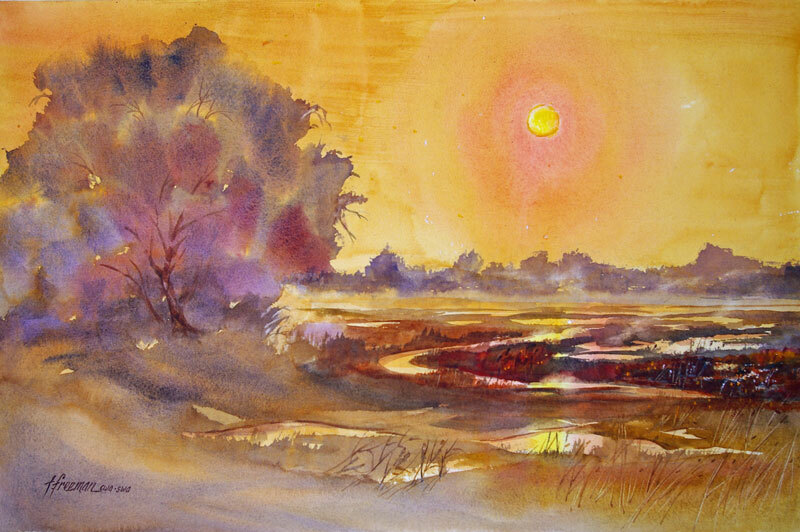 Thomas Freeman Original Watercolor Painting: "Wetland in September"
This painting is similar to September Moonlight except it is about a misty afternoon sun. It seems like the wetland areas are made for watercolor. I love them.